Take your party or event to the next level with an impressive spray of multicolored confetti and streamers. Don’t let any moment in your big event go unnoticed. Our confetti and streamers will turn your audience ecstatic as they float and dance their way down. 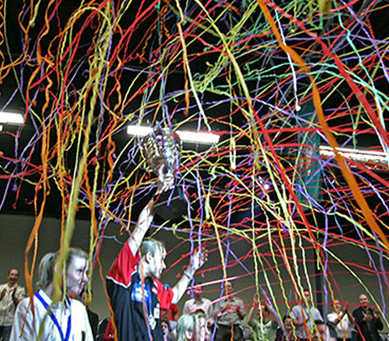 By focusing on creating aerodynamically shaped confetti and streamers, we ensure that every confetti burst is magical. We believe in giving a mind-blowing show of gently floating confetti and streamers that is perfect to a dancing happy crowd or a simply elated but seated audience. Our product ranges from small handheld confetti launchers to large machines that will blow a huge cloud of confetti all over the place. This flexibility goes a long way into allowing us to cater for virtually any party regardless of the size and budget constraints. If all you are holding is a small graduation or birthday party, our handheld confetti and streamer launchers would be more than enough. Your full blown social events, for instance a pageant show, on the other hand, will definitely benefit from our powerful machine launchers. The sole purpose behind our confetti and streamers package is to give event organizers an alternative to our fireworks packages. Even though our innovative aerial or close proximity pyrotechnics can comply to almost any safety regulations, we do understand that there are times when they are inapplicable; for instance in an indoor party. This is where our confetti and streamers come in. Our wide variety of multi-colored confetti and streamers will let you give your visitors something different from just the lighting and music. They will let you emphasize every important moment with a precisely timed burst of confetti. They will help you prolong the joy as the streamers effortlessly entertain your visitors. We believe in making everyone feel important and impressed. This is what our confetti and streamer packages help you achieve no matter the size of the event. Since confetti and streamers are easy to use, we have developed small, easy to deploy packages that let you spice up very small parties without inviting our management crew. These are perfect for small family parties – like an indoor birthday party or a thanksgiving party. This will let you see the confetti only that it won’t be as perfectly timed and impressive as it would have been had you subscribed to our professional packages. Our professional confetti and streamer machines are handled by highly trained individuals who have seen multiple parties to success. You can always count on us to make your party rock. We use state of the art machinery that can either sync to cues in your event or be operated remotely. This means that you will easily give the crowd a show of their lifetime without shadowing the most important moments of the party. Contact us today and let us grace your event in style. Combine our memorable confetti and streamers shows with cool cryogenics and fog effects to set your party on a higher pedestal at an affordable cost.